Join the Adventures of Dr. Guinea Pig George! Hello RWYK family! 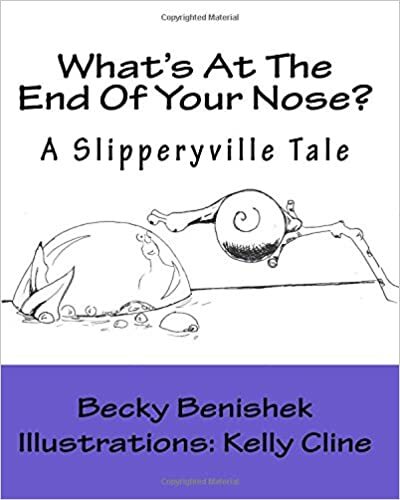 Today we’re ELATED to feature Becky Benishek, author of two wonderful children’s books What’s At The End Of Your Nose? : A Slipperyville Tale and Dr. Guinea Pig George. Dr.Guinea Pig George is a delightful story about a guinea pig who thinks he’s a doctor and it’s a must read for any guinea pig lover. What’s At The End Of Your Nose? is a great story about little snail and his adventures. Becky’s book help kids find magic and meaningfulness in even the simplest things around them. We’re super excited to share with you what Becky has to say about writing, her books and her future publications. Listen in as Becky reads out an excerpt from her book and learn some interesting facts about her stories. Get your cup of coffee ready, and let’s get started! Becky Benishek studied English and Environmental Science at Lawrence University in Wisconsin, and always hoped to turn her lifelong loves of writing, animals, and trees into something wonderful. Becky writes both children’s books and adult fiction, has more than a few notebooks stuffed with poetry, and occasionally tries her hand (and ear) at songwriting. One day she intends to go through all the napkins, envelopes, and other scraps of paper lodged in every available spot to turn more ideas, plots, first paragraphs, and titles into actual books. Becky manages several online communities and helps connect people with the resources they need to help individuals with special needs. She has quite the Lego collection and is prone to sticking googly eyes on everything. Becky lives with her husband, Dave, and their current guinea pig, Teddy. Tired of hearing “I’m bored! There’s nothing to do.” ? What inspired Becky to write these stories and the main characters? 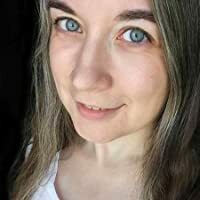 Becky shares a little bit about her future writing plans with us and some surprising news about RWYK podcast. Be sure to tune in to find out & you’ll be amazed! So, there you have it. We’re sure you’ve enjoyed learning about Becky’s writing projects, process, and hearing writing advice from her as much as we did! If you’ve enjoyed this episode then please rate and review our show in iTunes and share it by clicking the social media buttons at the bottom of this page! Thanks for tuning in and have a stellar day! Read NextSeeds & Trees: A Children’s Book about the Power of Words!